Glee: The Complete First Season (20th Century Fox) JUST LISTED! Here is the BLU-Ray releases for this Tuesday May 25th, 2010 and it is Heath Solo’s birthday! LOS ANGELES, May 21 (UPI) — U.S. high-school film classic “The Breakfast Club” is being released for the first time on Blu-ray in honor of its 25th anniversary. Universal Studios Home Entertainment said the iconic comedy written and directed by the late John Hughes will be released in its new format Aug. 3. 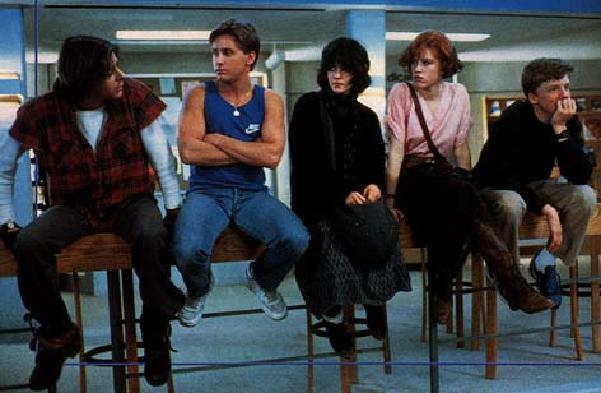 Starring Emilio Estevez, Molly Ringwald, Anthony Michael Hall, Judd Nelson and Ally Sheedy, “The Breakfast Club 25th Anniversary Edition” includes a 12-part documentary with cast members talking about making the movie. Also featured on the Blu-ray are filmmakers Amy Heckerling and Diablo Cody discussing the cultural resonance of the film. Nelson and Hall provide a feature commentary track as well. Here is the list for upcoming blu-ray releases, among the highlights : The long awaited Tombstone release. The old Batman films are now released one by one. Saving Private Ryan is finally coming to Blu-ray. Nine, the film with Daniel Day Lewis and oscar nominated Penelope Cruz. The Electra Director’s Cut and The Hurt Locker‘s director Kathryn Bigelow’s K-19 : The Widowmaker. ANd The Imaginarium of Doctor Parnassus, the last film of the late Heath Ledger. For you New Moon fans, Walmart is releasing a special edition with an extra disc with loads of special features. Not a great week for Blu-Ray releases but Goodfellas 20th anniversary BR is exciting!